This four-hour scuba tune-up will help refresh your memory on those rusty scuba skills. What better way to lower your anxiety level on your next vacation than knowing you and your buddy have recently practiced your underwater skills. 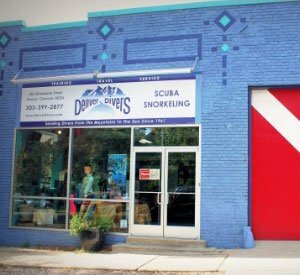 Let Denver Divers refresh your skills in our pool and make your next scuba trip a breeze! *Open Water Diver Buddy Program: If you have someone you would like to go through the certification process with and you are already a certified diver, this is the program for you. By allowing you to go through our Open Water Diver program as a certified buddy, you will be able to attend all the class and pool sessions with your friend or loved one and get a full refresher course. What you don't have to do is take the exam, do any of the homework, or do the certification dives. This program will allow you to dive with your soon-to-be buddy as they learn about scuba for the first time. There is no better way to really learn what your buddy or a fellow diver will do in a state of stress or discomfort underwater. 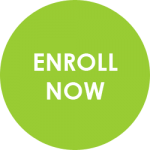 Our Stress and Rescue class offers you the opportunity to better learn your discomforts underwater, how to mitigate stress, and how to respond in an emergency. If you want to increase your confidence wihle diving, this is the class for you! We believe the next best step to becoming a safe and confident diver is becoming certified as a nitrox diver. Nitrox is a gas that contains a higher concentration of oxygen than the air we breathe. This allows the diver to stay down longer, and increase safety margins. Most resorts now offer Nitrox for a nominal fee, so whether you have already planned your trip, or are trying to figure out where to go, remember to ask for Nitrox on your next vacation.